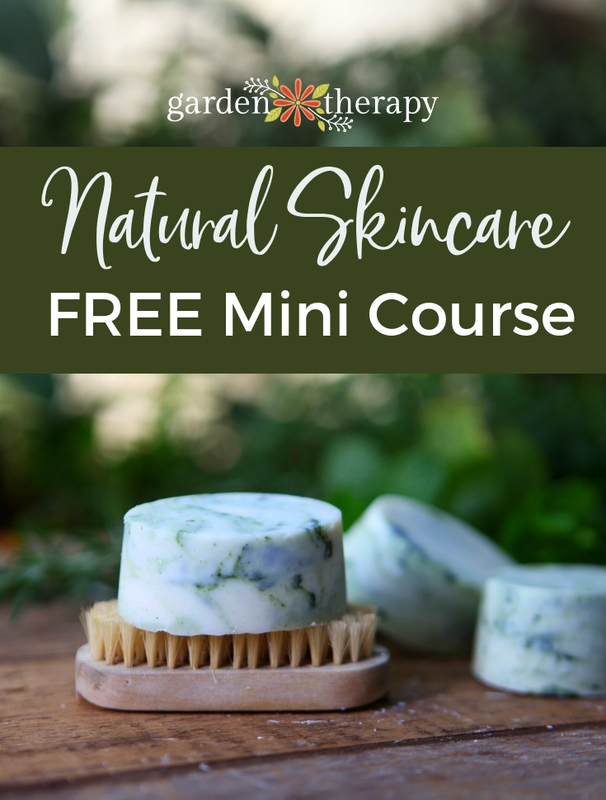 Rosemary can be used in so many different ways, from culinary recipes to natural beauty to pest control, and it has long been renowned for its healing properties. This plant is easy to grow and propagate, and a delicious addition to many culinary creations. 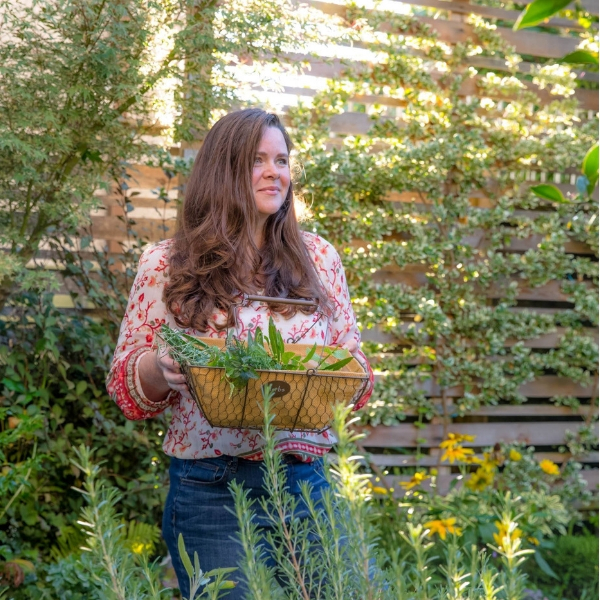 Follow this essential guide to rosemary for the best tips on how to grow, care for, preserve, and use this hardy wonder herb. 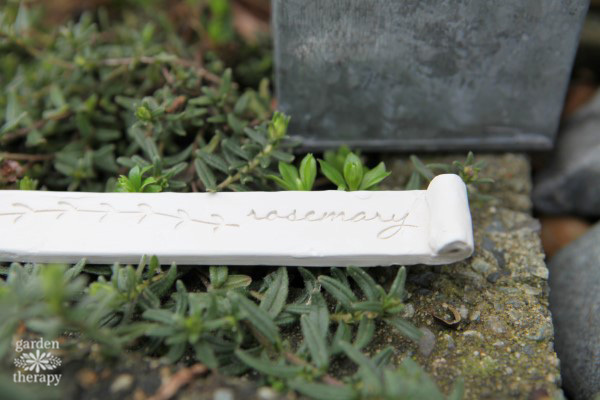 When rosemary was brought to England in the fifteenth century, it became known as a symbol of loyalty and was often given as a token of fidelity from a bride to her groom on their wedding day. It has since traveled all over the world and become one of the most common—and well-loved—herbs for home gardens. 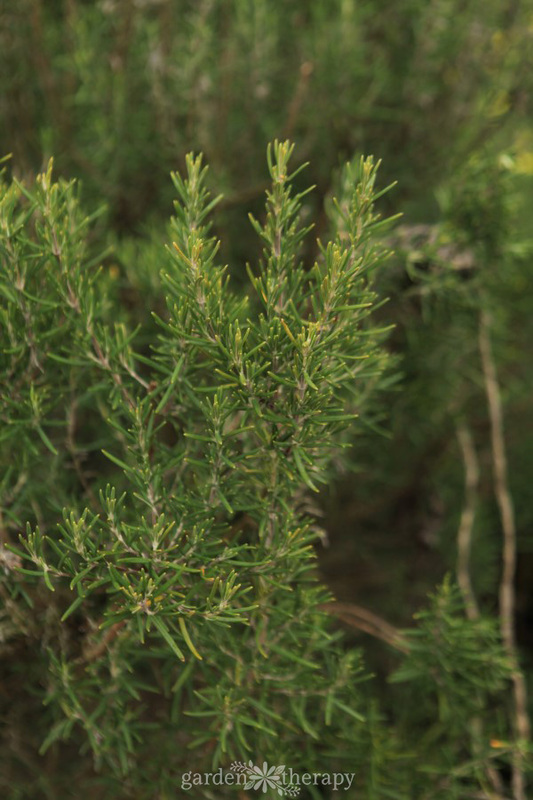 Rosemary is known for its antiseptic, anti-fungal, and anti-inflammatory properties—in the sixteenth century, it was often burned to disinfect rooms that had previously been occupied by sick people. It is also purported to have anti-stress properties and to improve focus and memory, so grab a sprig of rosemary and rub it between your hands to release the aroma if you need to study or get some work done. Rosemary is often used as a natural painkiller for nausea and headaches by rubbing the fresh herb or diffusing rosemary essential oil. A rosemary leaf can even help with your breath. Chew one leaf as a natural breath freshener, or add some to a batch of homemade dog cookies if your pampered pooch wakes you up in the morning with a kiss. 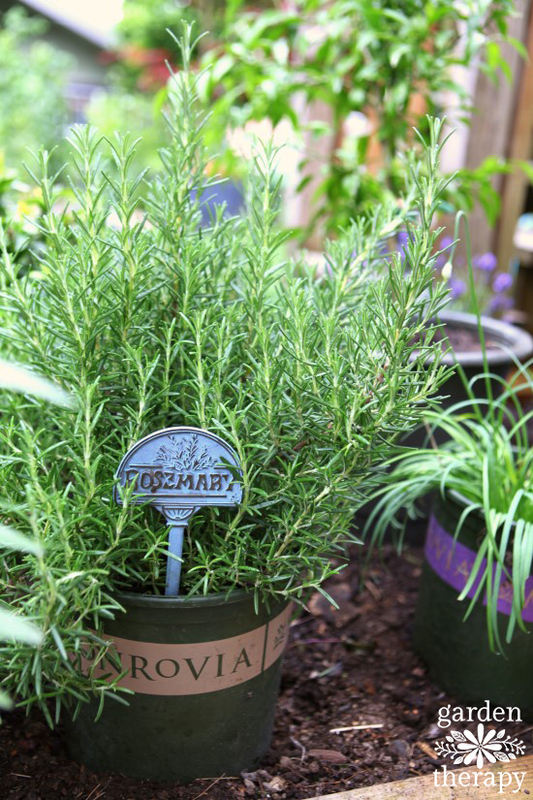 Be careful not to overwater, which is a common mistake with rosemary. Remember that it likes dry conditions and only water when the top two inches of soil feel very dry to the touch. Pruning: trim rosemary back after it flowers (cut off the top inch or two of each flowering sprig) and be sure to prune regularly to keep the plant from becoming leggy. Pests and Disease: root rot is common. To prevent it, provide good drainage and air circulation and don’t overwater. Whitefly and spider mites are common pests on rosemary plants. Prevent them by keeping your rosemary healthy and strong (they can’t do much damage to an already healthy plant), and get rid of them with a solution of water mixed with soap or neem oil applied directly to the leaves. Propagation: snip a piece of new growth (the stem should be soft and green as opposed to woody) about five inches long. Strip off the lower leaves, place the cutting in a jar of water with a plastic sandwich bag over top for protection. When roots begin to develop, remove the cutting from the jar and plant in soil. You can also use rooting hormone to help your cutting along, if you wish. For more details on propagation, head over to this post. Overwintering: Rosemary is hardy to Zone 6 or 7, but you can also overwinter it indoors if you would like to have fresh rosemary to use all winter long. To overwinter outdoors, remove any weeds from around the base of the plant, give it a good prune, and cover with a two-to-four-inch layer of mulch to insulate and protect it from cold winter temperatures. 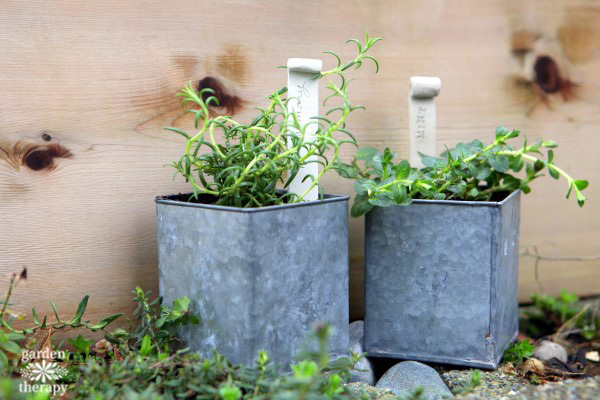 See more tips on overwintering herbs. Harvest up to one-third of the plant at a time. 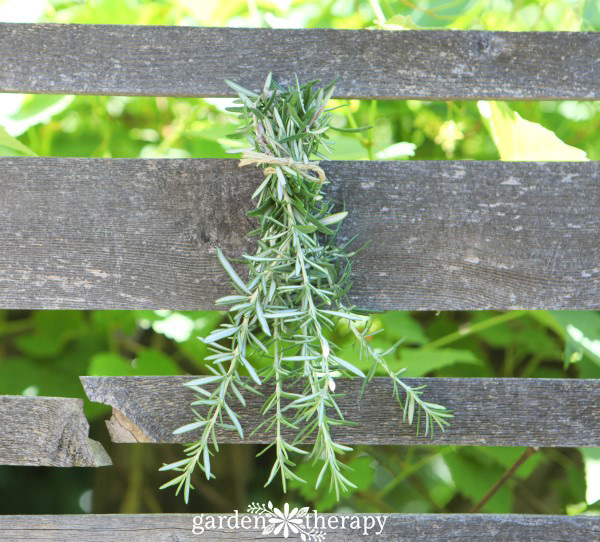 You can use rosemary fresh, tie the sprigs into a bundle and hang them up to dry, or store them in an airtight container for future use. For other ways to preserve rosemary, see these ideas. Add it to all sorts of culinary recipes, particularly meat, poultry, and hearty winter vegetable dishes. 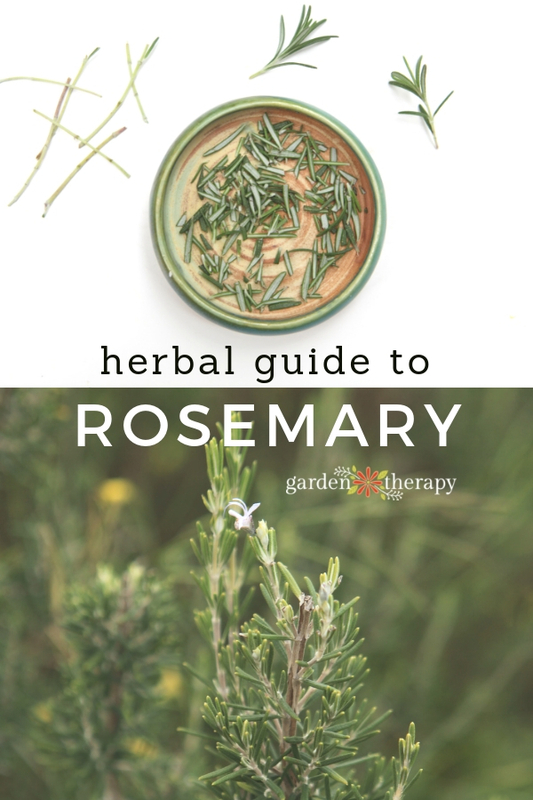 And don’t shy away from using it in more unexpected ways—rosemary is a delicious addition to many desserts! Make this rosemary lime finishing salt. Garnish your favorite cocktail with a fresh sprig of rosemary. 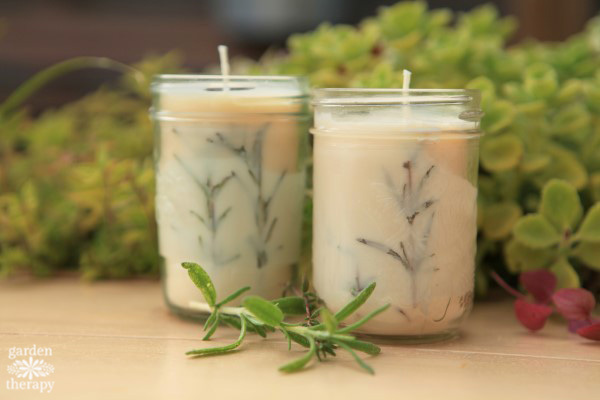 Put a pot of rosemary or a rosemary candle on your work desk to improve focus. Gargle with rosemary tea for a natural homemade mouthwash. Add it to homemade soap. Relieve congestion by adding fresh or dried rosemary to a bowl of boiling water and breathing in the steam. 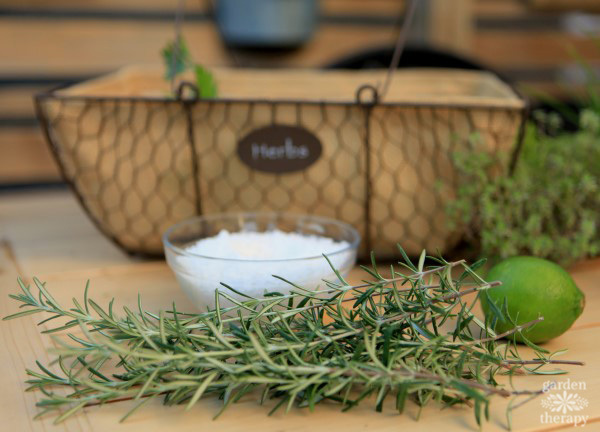 Add a bundle of rosemary to the shower to really wake you up in the morning! Add rosemary to these simmering spices to fill your home with some festive fragrance. Spritz rosemary essential oil diluted with water in areas prone to pest infestation to deter mice and unwanted insects. Add a few drops of rosemary essential oil to wool dryer balls to deodorize laundry. 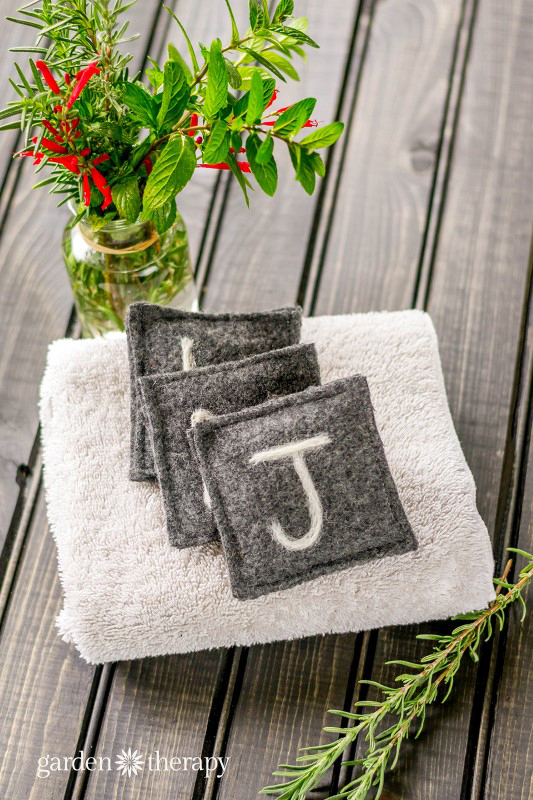 Add dried rosemary to these felted drawer fresheners to keep clothes fresh while stored. 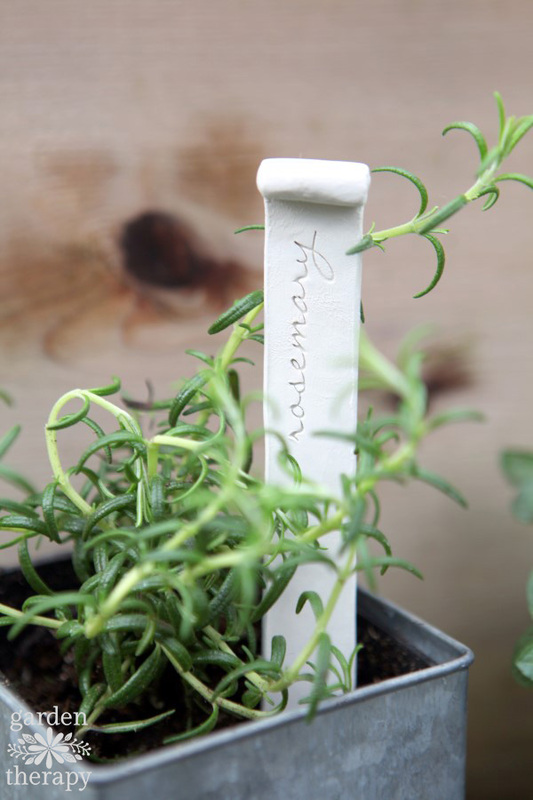 Whether you use it for cooking, crafting, or healing, you won’t regret adding a rosemary plant to your garden!